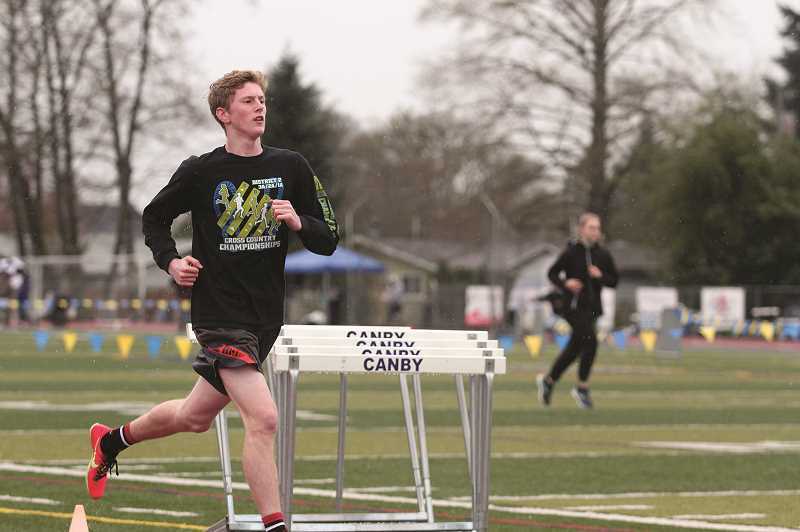 The Kennedy track and field team took a small contingent to Canby High School during spring break to compete in the annual Canby All Comers Meet. Although the full team wasn't in attendance due to the holiday, turnout was somewhat indicative of the low numbers the program is seeing this season. "I think our latest count is about 16," Head coach Steve Ritchie said of his boys program. "Probably the smallest number I've had on the boys team in 20 years." 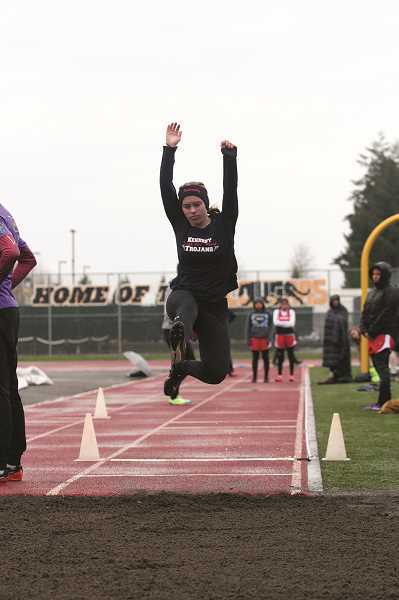 Despite the low turnout, the talent level among the Trojans remains as high as ever this year for a track and field program that has been a consistent presence at the 2A State Championships year after year. After placing seventh at the state meet in the shot put in his debut season in 2017, senior thrower Nick Suing has already made his presence known in the shot put and discus circles this spring. "Nick is significantly stronger than he was last year," Ritchie said. "Now in his second year in track — just that familiarity — and he can hone in on technique a little bit more this season." Suing's mark of 43-00 in the shot is less than three inches shy of the personal record he set at state last year, and he has twice eclipsed 100 feet in the discus, a feat he did just once last year. Junior teammate Luke Hall returns after placing eighth in the 800 at state last year and is looking to qualify in the long jump as well this season, having set a PR of 18-9.75 in the season-opening meet on March 14. "He's got to work on his endurance, but he's long jumping well and hopefully is going to triple jump for us as well," Ritchie said. "I just think he's going to be really good at that event when he's had time to work on his technique." 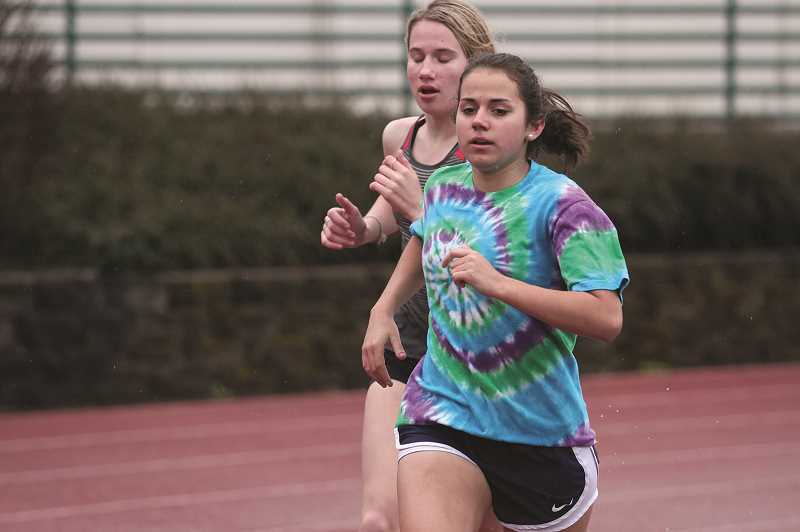 The girls team will be buoyed by state title contenders Alejandra Lopez and Hallie Sprauer, who return to the team for their senior seasons. Sprauer placed runner up in the high jump at state last year and was third in the triple jump in addition to earning medals in the 4x100 relay and long jump. Lopez was runner up in both the 1,500 and 3,000 last year at state and is coming off a state championship performance in the 3A/2A/1A cross country season this past fall. "Alejandra as well has been held back by some lower leg issues we're working through," Ritchie said. "We're trying not to put too much stress on her until she feels better." Senior Lilly English continues to impress in the shot and discus events after placing fifth at state in the latter last year, while fellow senior Caitlyn Kleinschmit is seeking her first state berth in the javelin this season. "Nobody on the team works harder than Caitlyn Kleinschmit," Ritchie said. "She's just out there every day grinding." The Trojans return to action this week at Regis on Thursday before traveling to North Marion for the Husky Invitational on Saturday.